There are a lot of email feedbacks from my previous posting of "50 Ways to Improve Your Life". Many people love the list. I finally figure out that lists are so attractive. Why not we together create a big 101 List? Let me start the list first and I hope everyone can give us your own idea of "Things You Must Do" by adding comments to this message or by emailing me. 2. Live in a place you love. 4. Visit all 7 natural wonders of the world. 5. Do a bungie jump. 6. Go up in a hot air balloon. 8. See the northern light. 10. Climb a really tall mountain. 11. Donate blood every year. 13. Skiing in the snow. 14. Visit all 7 continents. 15. Write a love letter. 16. Float on Dead Sea. 17. Visit a Greek island in Aegean Sea. 20. Tell someone I love them. 21. Stay a night in a 6-stars hotel. 24. See a musical in Boardway. 27. Be a vegetarian, at least for a month. 28. See the Great Barrier Reef. 30. Type with 10 fingers. 33. Take a mud bath. 34. Send a message in a bottle. 36. Build a sand castle. 37. Find your hidden talent. 39. Visit a third world country. 41. Go on a train ride to Moscow. 42. Hold doors open for others. 43. See glow worms in the wild. 45. Walk the Great Wall of China. 48. Learn to say "No" without guilt. 49. Think before you act. 51. Be free from debts. 52. Play, dance, laugh in rain. 54. Forgive someone who is unforgivable. 55. Live with no regret. 56. Walk the charity walk. 57. See a live valcano. 58. Find a long lost friend. 59. Do something to be proud about. 60. Love truly, madly, deeply. 61. Help an elderly person crossing street. 63. See a solar eclipse. 64. Walk in a tropical rain forest. 66. Sit at the edge of a cliff. 68. Watch sunrise and sunset in the same day. 69. Write a letter to your future self. 71. Have a candle-light dinner. 73. See the pyrimids on Egypt. 74. Go on a fast. 75. Build your own website. 76. No fast-food for a month. 77. Go to a desert. 79. Send flowers to someone you love. 81. Find a best friend. 82. Take some more risks. 83. Lose weight if you are over-weighted. 84. Have a life goal and start to achieve it. 88. Stand up for yourself. 93. Donate old clothes to charity. 95. Ride in a helicopter. 99. Recycle anything that can be recycled. 100. Be kind to others. Hope you like the list. More importantly, please kindly send in your own ideas of "Thing You Must Do"
I am just back from Macau with my family. I took my dad and mom to all the new and old casinos in Macau. They haven't been to Macau for years. After you have visited nearly all the casinos in Macau, you will understand that the "old" and "new" ones are different, not just about their magnificent decorations and advanced gambling equipment. They are in totally different Operating Systems! Just take an example of their security check. Really I don't understand why they need to have security check before they "alllow" you to go into their casinos. I know that it is about security, but they can use some other ways, might be a bit more complicated to achieve the same effects. In Las Vagus, you just can't see any of these. You can go into a casino without noticing you are already there. This is their clever design. Most businesses, including casinos, want a large traffic flow. The most important single point in creating a large traffic is the Point of Entry. This is just a simple logic but many businesses do not get it right. The more traffic goes in, the more traffic inside! OK, back to Macau. The "old" casinos operate a very strict security control. They check and check. Their concern might be just their own safety coming first. Furthermore, their security guards are getting used to their usual rude and impolite manner. For the "new" casinos, it is very easy to get through and their guards are polite, too. I have done a experiment. I can go into 3 "new" casinos easily without any interruption, but I was being searched and searched in another 3 "old" casinos. They even did not allowed me to take my bag with me. That might be one of the reasons that there are so many people in those "new" casinos! This is again another example of slow and reluctant response to changes. The world had changed but we do not change accordingly or in advance. We are the one to suffer, but we might just complain and blame the world! I watched a TV show tonight. It is about studying Chinese in US. In the show, it mentioned about such list compiled by the U.S. News and World Report. Studying Chinese is on the list. The list is very informative and useful. Hope you can get something out of it too. Hope you also find it helpful. Today is a good day as I reach Learning from Life #100. I promised to complete this series up to #499. I will do so in the coming months or years! 96. A network is not important. Your value to the network matters more. 97. You can't push yourself to improve. When you enjoy your life, it starts to improve. 98. We have the freedom to choose, if you choose to have the freedom! 99. Insights and inspirations are all from within. 100. When we talk, we can't listen. One of our classmates emailed me asking me the difference between Resources and Choices in NLP. The information can be useful to many of us, so I answer her here. "Resource" comes from a French word meaning "to spring forth". In NLP, Resource is described as anything that helps a person going from current state to desired state, including from a problem state to a solution state. There can be 2 kinds of Resources, the Inner and the Outer. Inner Resources include beliefs, values and internal states of excellence (eg. Confidence, Joy, Humor...). Outer Resources include skills, guidance, tools and supports. The Inner Resources help us to change an Inner State, while the Outer Resources help us to change the Outer States. There is a NLP Presupposition stating that we have all the resources we need. It is referring to the Inner Resources. We have all those qualities but we might not be able to aware of them right now. "Choices" in NLP refers to actionable options created or discovered by a person in order to achieve something. My friend asked me: Is it true that the more resources we have, the more successful we will be? From a view point of a "normal" person, it is true. But from the rediculous NLP point of view, it is a misunderstanding of the basic concept of NLP. If we already have all the resources we need, there can't be "more" resources!? However, it is true that if we have more choices, we can be more successful (another NLP Presupposition). Choices can be the usable options of making use of the Outer Resources. If success is defined as achieving something, i.e. external, the more choices that we can make use of the Outer Resources, the higher probability of gaining success. You can also see "Resources" as something passive, something already been inside you or outside over there. "Choices" are something active, you create or discover in order to make use of the "Resources". Further to my previous message of the same title, I like to elaborate a little bit more. Someone emailed me, asking me to explain further. There are 2 kinds of choices - Choices others gave you and Choices you created by yourself. You can distinguist them as Passive Choices and Active Choices. When choices are created by you, the Active Choices, they are created based on some of your criteria. So, you can select the right choices according to the situations. Active Choices give you more flexibility and freedom. When choices are given by others, the Passive Choices, they are created by others' criteria. They might have the knowledge to select the right choices while you can't. Passive Choices give you confusion. It is the Active Choices we need to generate more successes. BTW, success is just getting what you want. If you have more usable choices, the Active Choices, you can get what you want at a higher probability. I am just back from Macau on Sunday. I went there to conduct the NLP Practitioner Training. After completion of the program, I went to buy some bakery products. Macau are famous for some kinds of bakery items. I was quite tired of those famous brands like X Kee and X X Yuen. I want something different. So I go around to search. I found a small bakery with "Established 1928" in their logo. It sounds good. Though there was not too many customers (actually, there was just one single customer) inside but I still bought from them. After returning home, I tasted some of the products. They are really bad. I was wrong. I mistakenly interpreted the "Established 1928" as a sign of good quality. It is just an artificial sign created by the owner, but not the emergent sign we should look for. "Established 1928" can be a lie, but I am not saying that they are lying. They can still exist since 1928, might be just because they owned the property so that they can run the business under a very low cost. The sign I should look for is the traffic in their shop. If they are really good, they should have returning customers. They have the usual packaging boxes (I saw them at the back of their shop) but they do not use them. They just give me the products inside a plastic bag. This is a sign of cutting cost and a sign of inconsistency. These are bad signs. Lesson Learned: Look for Emergent Signs but not Artificial Signs! Yesterday during Practice Group of Certified Hypnotherapist Program, I demonstrated a "new" way of doing Inner Mediation. I employed some ideas of Family Constellation in the Inner Mediation Process. Many years ago, when I first came across Family Constellation, I found this skill can be very useful. However, what I saw was when someone was getting better, those who helped him/her might pick up emotions. "Is this necessary?" was the question in my mind. I discussed with my fellow classmates and introduced them the Inner Mediation Process. I thought that we can apply Family Constellation into Inner Mediation and unnecessary emotions can be avoided. People are not playing the family members' roles (where emotions are built in there), but the roles of client's inner personalities. From my point of view, those family members' roles are also the client's inner personalities, what he/she thinks/believes about his/her family members. A simplified version of this Inner Mediation Process is as below for your interest. I am not encourage you to try by yourself without proper training. My goal of this article is to discuss an alternative form of emotion-less process. 1. Do the same procedure of pretalk and pre-suggestions of the Inner Mediation Process to the client, but without hynotizing him/her. 2. Ask for the shape and size of the meeting table. Then ask for the number of seats as in Inner Mediation. 3. Request client to visualize the meeting table and seats in the physical space. 4. Then continue with the appearance of meeting participants. Ask the client to find the most suitable people around him/her (helpers) who could represent these inner personalities. 5. Mediate the meeting as in the Inner Mediation Process. Facilitate oponion gathering and mutual agreements. 6. Request for positive messages and learning from the client and then all other participants. 7. Repeat the positive messages and learning to them as suggestions. BTW, I like to clarify that I am not saying Family Constellation is no good. They are great. I am just borrowing some of their concepts into this waking hypnosis process. Signs are Everywhere: MTR is "Killing" Hong Kong!? You can find many people walking on a moving escalator only in 3 cities in the world. They are New York, Tokyo and Hong Kong. People are busy, the cities are busy and they are prosperous! This can be one of the informal indexes of the prosperity of a city! There is less and less people walking on escalators now in Hong Kong than in the past. Does this tell you something? BTW, have you noticed that MTR is now discouraging people walking on the escalators. I know that it is about safety. Safety and risks are always on the oposite sides of a spectrum. In most situations, prosperity and risks are on the same side too. I am not encouraging risks taking and I am not encouraging walking on the escalators. But this is a emerging fact! "The more choices you have, the more successful you will be" is one of the most misundertood presuppositions of NLP. I like to clarify a bit here. 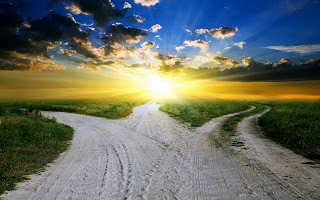 Many people think that if we had been given too many choices, it becomes really difficult to choose. So the more choices we have, the more confusion we have, the more unsuccessful we will be. This is absolutely true. So, we tend to reduce our choices. In a long run, we sometimes limit ourselves to one single choice so that we do not need to choose at all. Life becomes easier! But suddenly, our single choice disappears (things changes!!!) and we find ourselves out of choices! We have nothing. This is one of the most serious problems facing us. The presupposition "The more choices you have, the more successful you will be" is actually an attitude to prevent such problem. To understand the "choices" in the "The more choices you have, the more successful you will be" presupposition, we need to understand where this presupposition came from. This was modeled from one of the 4 original great psychologists in the 70's. He is Bateson. He is a systems scientist. This presupposition is originated from the famous Law of Requiste Varity of the Systems Science. This law states that the larger the variety of actions available, the greater the chance of achiving the goal. This law applies to any cybernetic systems. NLP developers borrowed the concept of this law to human beings. The "choices" in the presupposition is not about the choices offered to you. It is about the choices you can use. The more choices offered to you, the more confusion is generated. But the more choices you can use, the more flexible you will be. For example, if you want to kiss a girl, someone offers you 2 choices to do so, it is easy to choose. But he gives you 5, it becomes more difficult. When he offers 20 choices, oh my God! So, the "choices" is about usable choices and about choices of action. Such choices are not being offered, but it needs us to search, discover, identify and create! I have just watched the DVD "Click". This is such a good movie! There is a lesson there: The only moment we can have is this passing moment. Why waste it by dreading or neglecting? We can only treasure everything in this moment. Ask yourself this simple question and write down as many answers as possible. Nearly all of us want to be happy. Sometimes I just don’t know whether it is happiness makes us smiling or smiling makes us happy! If you know what makes you smile, at least you can go for it (them)! I am in Singapore. After several days of leisure time, I attended a conference of the Container Owners Association. I am attending the conference with my client. This conference makes me knowing more about the business of my client and I do learn a lot from it. Sometimes you can learn much more when you study something totally different from your own business. This widens our horizon. All these new learning might be applied in your own business. In NLP, we chunk up and generate models into something that can be applied to a bigger scope. We can also adapt different models into your situation or transfer models to other scenario. When you can't pick up any new idea from your familiar environment, go to somewhere else. I haven’t visited Singapore for more than 6 years. Actually, I had never been really visiting and understanding the country. In my last 2 visits, I just stayed there for a day for business. Nearly everything I know about Singapore is not first-hand. Singapore gives me an impression of following rules and being uncreative. But I find quite a different Singapore this time. There is creativity here and there. For example, they are doing the Singapore Biennale 2006, which is a contemporary visual art show. I am not talking about the art works, but their creative and unusual exhibition venues. They bring the temporary art into the lives of the people by displaying the art works in religious sites, public housing and even along the roads. Everyone has a chance to look at these art collectives everywhere. Anything can be an Art! I just visited a very impressive Art Exhibition in the City Hall of Singapore. It is impressive because it demonstrates a clear fact: Everything, anything can be a piece of art!!! We do not need to pretend to be an artist or pretend to understand art, we are artists and we do understand some form of arts. Everything, anything can be art. From a macroscopic view, art can be anything that is created to express something of you. We are all creating art, any moment, every moment. Just make our creations beautiful, it can be a great piece of art! Today I have a bad/good day! Early in the morning, I plan to go to a book shop somewhere near my hotel. After I checked the map, I discovered that it is very near, just 2 blocks away! So, I started my trip to the “nearby” book shop. It is so near that I even did not take my map with me. As I remembered from the map, the book shop is somewhere on the road perpendicular to the hotel. So I turned left. After 5 minutes’ walk, I found myself in a very old shopping mall. It was just like in the 60’s. It was on the North Bridge Road, but the book shop should be in a mall called the Bras Basah Complex. So, it should be on the Bras Basah Road. I must be on the wrong way. I went back to my hotel and turned right. I was on the Bras Basah Road. Then after another 5 minutes’ walk, I still couldn’t find that mall. I took out my compass and find myself heading west. But according to the map, the book shop is on the upper part of the map, I should go north instead of west. Then I turned back again and went north. After another 10 minutes, I found nothing. It was not a big deal of not finding the book shop. I quitted. I wandered around to find something interesting. I spent the morning in the Singapore Art Museum and the Church of St. Joseph and the Sculpture Square. I had no plan in visiting these great places, but I was there and had fun! Then I saw the age-old 60’s mall again. I went in and found a lot of old book shops there and then I found the book shop I was searching early in the morning was right there in front of me! I went outside and saw the big wordings of “Bras Basah Complex” on the wall of the building. 1. We need a map with us, even though you think you know where you are going. Or we are wasting our time and our life. What/where is your map? 2. Don't assume. The Bras Basah Complex can be not on the Bras Basah Road! 3. When something gets wrong, doing something just opposite doesn't means you can be right! If the book shop is not on the left, it can also be not on the right. 4. Even though you have a map, check before trusting it. The upper part of the map actually is not pointing to the North. It is stupid but it can happen. 5. When things do not happen as you plan, it can be OK or even a good experience. Be flexible and enjoy. 6. Sometimes you are already right, but just you don't know! I was back from Thailand yesterday's evening. I learned a great lot during the trip. I really want to share with you asap. The most interesting discovery is that the people in Chiang Mai (清邁) are very slim! They are not poor and starving to slimness. I will discuss my discovery of their slimness in my next message. Everyone who wants a slim body must read! BTW, I am going for another trip to Singapore tomorrow. Hope I can discover something new there. Signs are Everywhere!!! One of our classmates asked me about the meaning of Systemic Developmentalism recently. Systemic Developmentalism is what I do in all the past years of my training without telling anyone since 1997. It was not the right time yet. No matter I am teaching NLP, Hypnosis and Coaching, I Incorporated the ideas of Systemic Developmentalism into the training. Since earlier this year, I felt it is the right moment to promote the concept of Systemic Developmentalism to the people around me. To elaborate this concept, I try to do it in 2 separate messages. This is the first one and is about "Systemic". Most of us see things from a Single Position, Single Angle, Single State and Single Stage (SPASS). So, we see what we always saw. We can only see the "Left" or the "Right", the"Above" or the "Below", the "Within" or the "Without", and the "Near" or the "Beyond". But we can see the "Left" and the "Right", the "Above" and "Below", the "Within" and the "Without", the "Near" and the "Beyond", if we intend to. Furthermore, we see things at their Single Point in Time (SPIT). We only see what had happened, but we do not see the "Before" and "After". We see things as "Individual Events". This is the source of most of our problems. Systemic means Entire (全部), Whole (完整), and Complete (完全). That is, we do our best to see everything, including every elements, every parts, every components, every steps, every links and every systems within and without the whole system. Then we are going to see the Included Parts/Wholes, the Excluded Parts/Wholes, the Hidden Parts/Wholes, the Obvious Parts/Wholes, the Surface Parts/Wholes, the Underlying Parts/Wholes, the Declining Parts/Wholes, the Emerging Parts/Wholes, the Core Parts/Wholes, the Peripheral Parts/Wholes, the Intrinsic Parts/Wholes, the Extrinsic Parts/Wholes, the Separated Parts/Wholes, the Aggregated Parts/Wholes, the Loose Parts/Wholes, the Integrated Parts/Wholes, the Natural Parts/Wholes, the Artificial Parts/Wholes, the Divisible Parts/Wholes, and the Indivisible Parts/Wholes. Systemic is similar to the original idea of "Holistic" by Aristotle, but very different from the misunderstood general view of "Holistic" today by many people. Aristotle suggested that the whole is more than the sum of its parts. Systemics studies also how the parts interact. The current mostly misunderstood view of "Holistic" is about the "whole" body, or "body, mind, spirit". But we are more than that. If we can only see the "whole" body, or even the "body, mind, spirit", we are limiting our views. This is a typical reductionism in "Holistic", while "Holistic" is described as the opposite of "Reductionism". To summarize our discussion, Systemic is about seeing more than what we usually saw. Thus providing us much wider sources of insights, inspirations, and solutions!